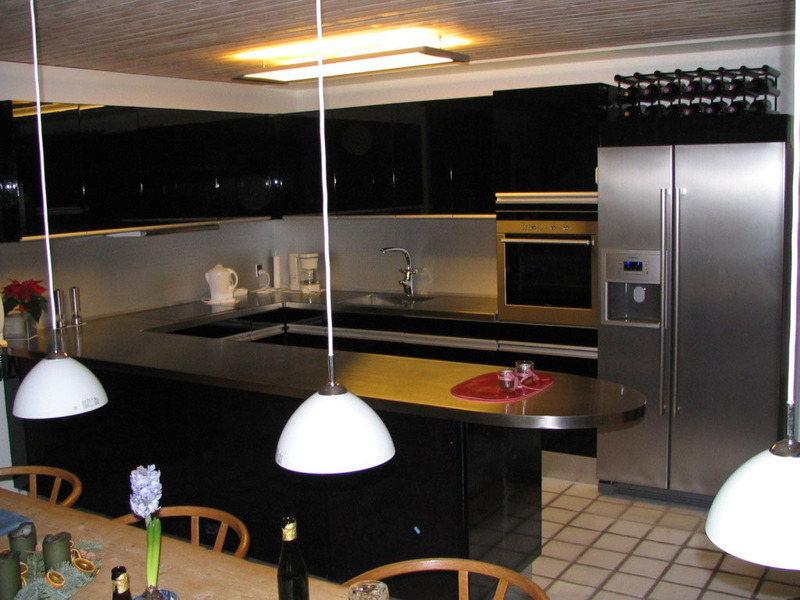 A-Z-Snedkeriet.dk has also many years of experience in installation of kitchen elements. 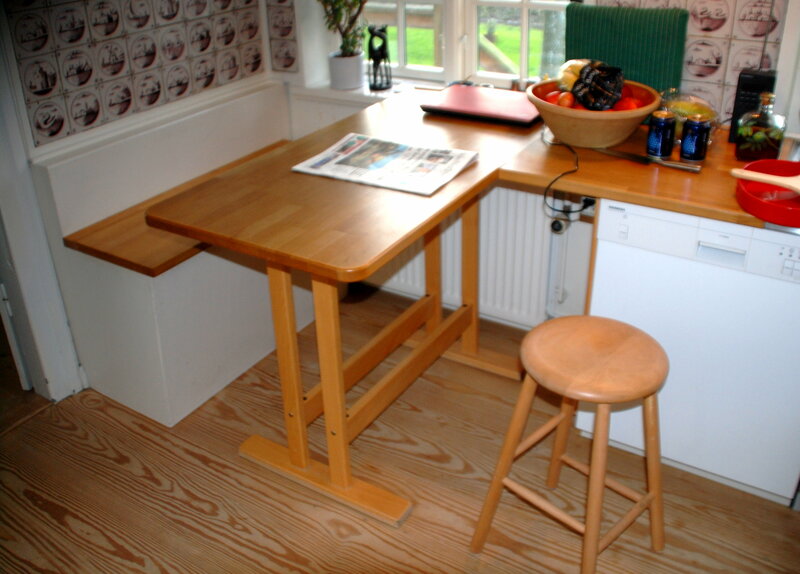 Here is a solution how to utilize a table height of 90 cm while in a sitting area and large counter space in the kitchen. Chest bench is made 20 cm higher and the table is fitted with a cross rail to rest your feet on. 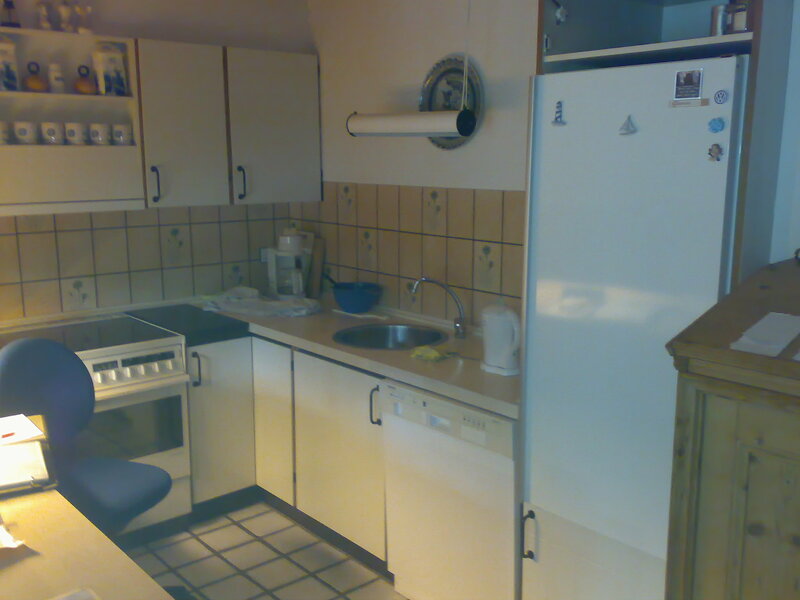 Note the fine floor in pich pine, which we also have added. 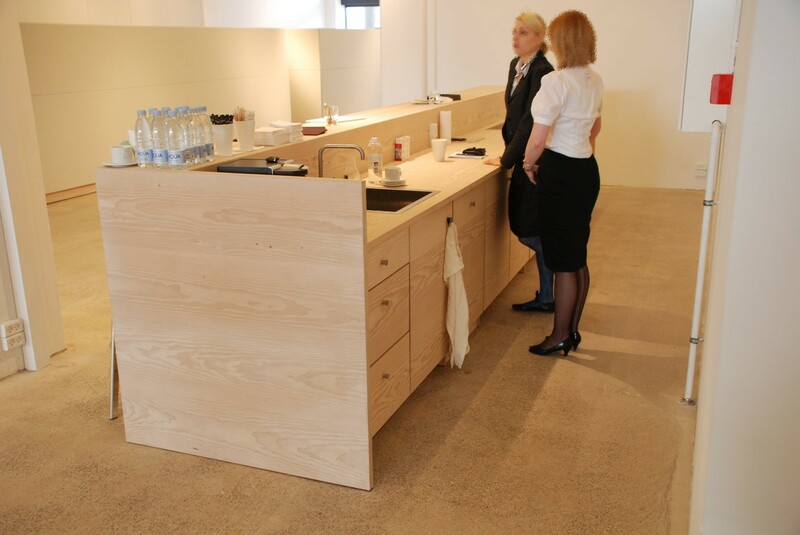 We make kitchen counters in different sizes of solid Oregon pinewood. 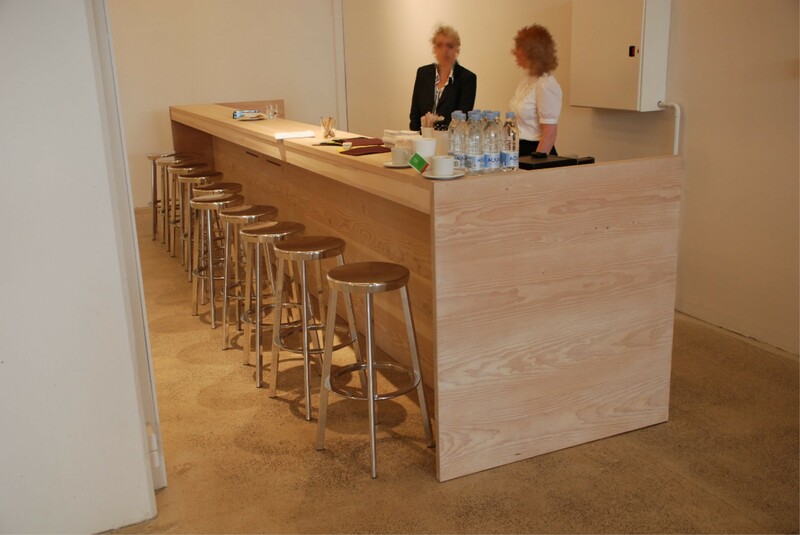 Here you see an example from Kvadrat A/S, where the counter is made of solid soap treated Oregon pinewood. Please note the facade, where the grains of the wood are through-going on the entire side. A very nice detail. Here you see the result of a kitchen table top made of solid wood with a grease groove. This is useful as liquids do not overflow, if you are unlucky. At the same time the groove of the table top gives a fine finish at the edge.